Spotify clearly states on its website that the two to five people on each ‘Premium for Family’ plan must live at the same address and now, the streaming music giant has started verifying this requirement by asking account users to confirm their home address through GPS data, Quartzy reports. 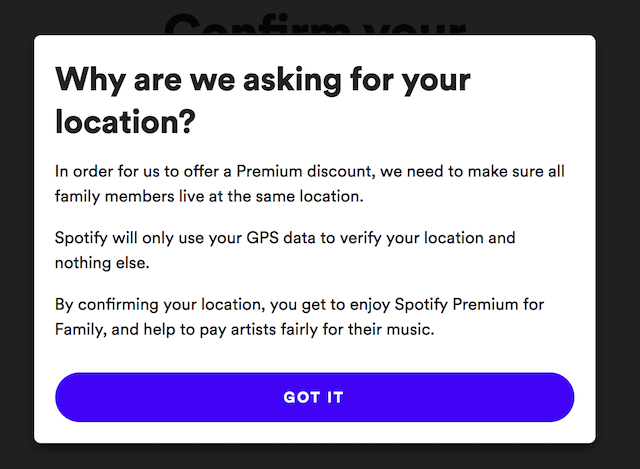 Users who have received Spotify’s email to verify their location have been warned that should they fail to confirm their home address, they will lose access to the discounted family plan. A number of Spotify Premium for Family plan users have also taken to Twitter to point out that living in the same house is not a prerequisite for being a family and it should not be considered a point of contention when it comes to accessing family accounts. Some family members might live abroad, for instance, or have separated parents. 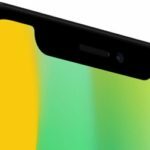 In addition to Spotify’s narrow categorization of family, people are concerned about the music-streaming company asking for people’s GPS data to confirm their location, and about the implications, this might have for privacy and security. Links in the email take users to a series of pages that state, “Spotify will only use your GPS data to verify your location and nothing else,” as well as an explanation on why the company is requesting such information. Last month, Billboard revealed that streaming family plans had some music industry executives concerned about Spotify’s slipping average revenue per user and that nearly half of global streaming subscribers are on family plans.